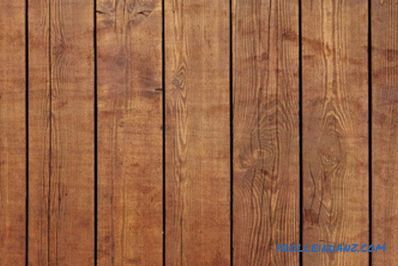 Profiled flooring is an inexpensive and popular material for building a fence. 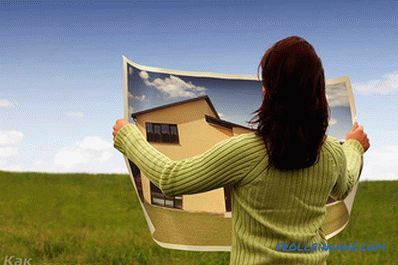 It has several advantages over brick, concrete and mesh. This material is virtually universal. 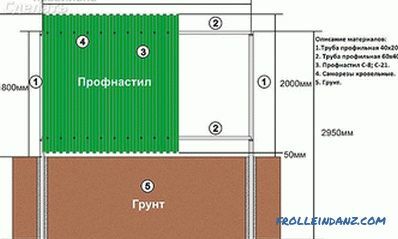 However, there are several varieties of corrugated board. 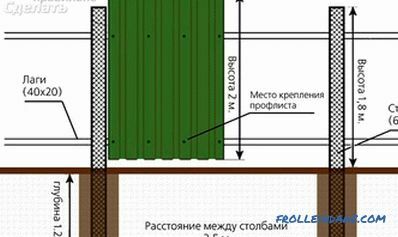 In the article we will give a step-by-step instruction on the construction of a fence made of corrugated board, but first we will look at the merits of this material. Absolutely impenetrable. The grid chain-link or lattice cannot hide that occurs on the seasonal dacha, and the professional flooring can. 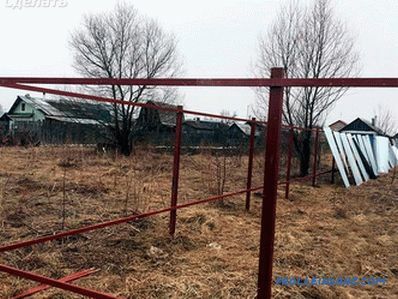 In addition, fences up to 6–7 meters high are erected from this material if the owner wishes. Therefore, it is almost impossible to climb such a fence. It is built very quickly. In this case, even the construction experience is optional. For work it is enough to have a minimum of knowledge and the most simple working tool. There is no need to hire specialists to work with decking. Any special technology is also not required. Decking is very durable. The fence from this material can stand up to 30 years. In case of destruction, the material is easy to replace. 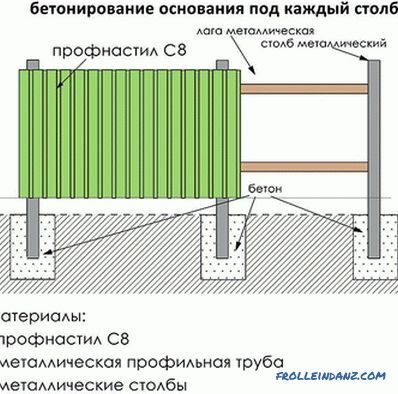 Decking is an excellent noise insulator, so it will not only cover the site from prying eyes and protect it, but also reduce the noise level. 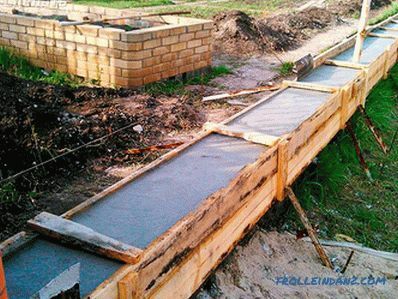 Unlike concrete, this material is inexpensive. And this will save money for other needs. 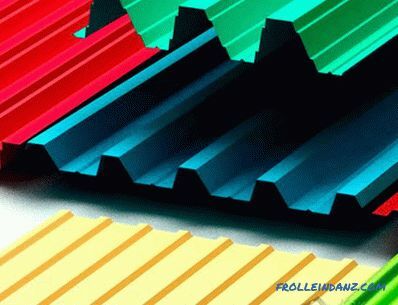 Profiled sheeting is steel sheets with a wave-like surface. They may have different thickness and coating. First you need to choose the material itself. Classic decking. Such material is certainly galvanized. 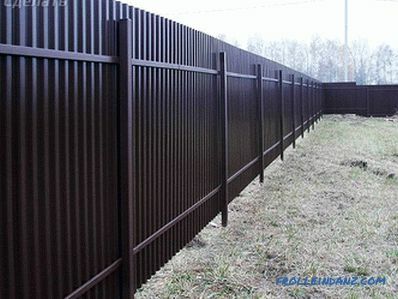 It is very cheap, but it is great for fences. Serves this material for about 20 years. 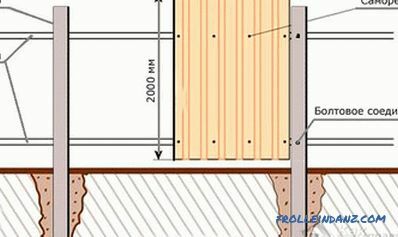 Decking with PVC. 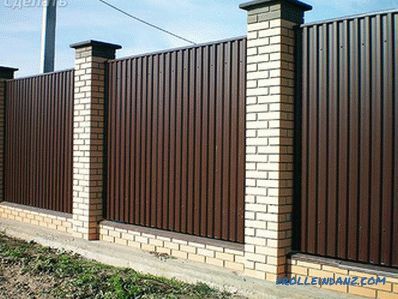 The PVC coating makes the material very resistant to various adverse factors. However, it is better to use such profiled in zones with a temperate climate. 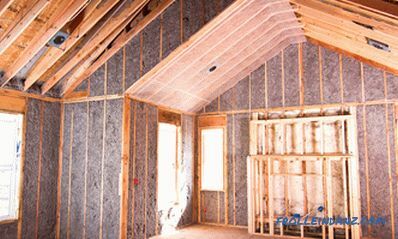 Because with strong heating, the surface of the material quickly becomes unusable. 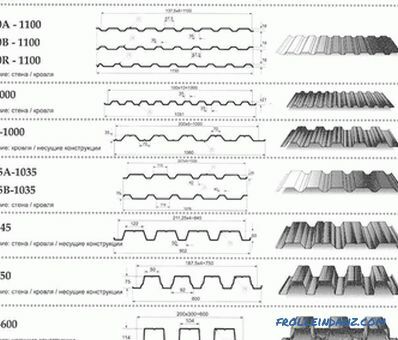 Decking with polymers. The polymer coating makes the material very durable and durable. The service life of such profiled flooring is about 30-35 years. 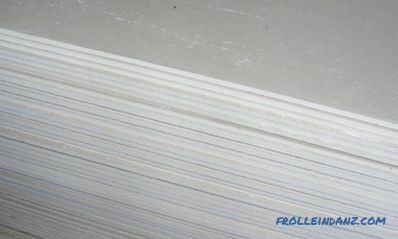 The optimal combination of price and quality makes the material very popular. 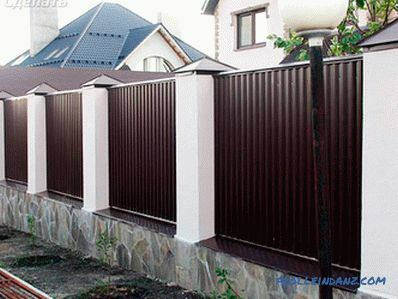 For the fence, it is necessary to choose profiled sheeting with a thickness of at least 0.5 mm and height of the corrugations not more than 20 mm. The first step is to determine the required amount of material. 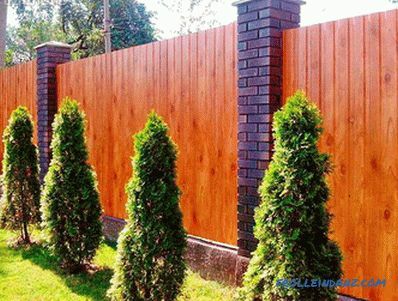 To do this, you must first take measurements on the perimeter and determine the height of the future fence. 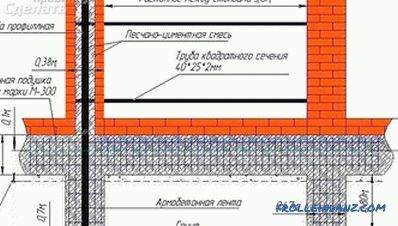 In the drawing, it is better to mark where the entrance gates and the gate will be located. Only then can the material be purchased. 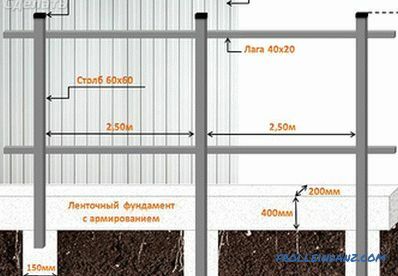 Construction of the foundation It is also necessary to purchase columns and crossbars. The columns are located around the perimeter in increments of approximately 2-3 meters from each other. 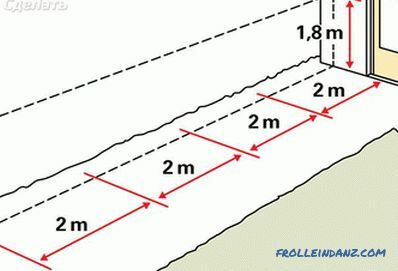 You can take a step less than two meters. At the same time it is impossible to increase it more than three meters. 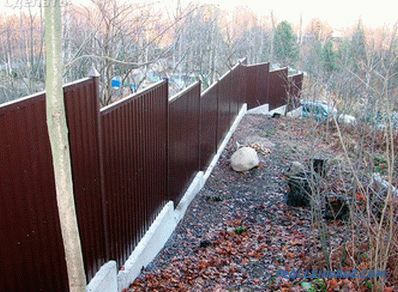 A fence is required. 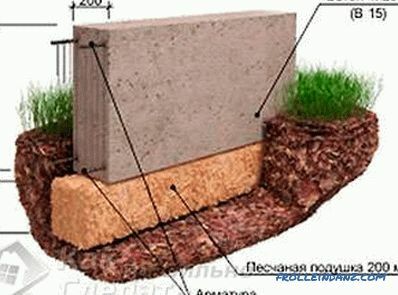 Therefore, it is necessary to make pits about one and a half meters deep and about 15-20 cm wide. Pipes can be used as pillars. Bars can be both round and angular, it does not matter. Preparation for the foundation Gravel should be poured at the bottom of the pit. It is advisable to take the gravel of the middle fraction. 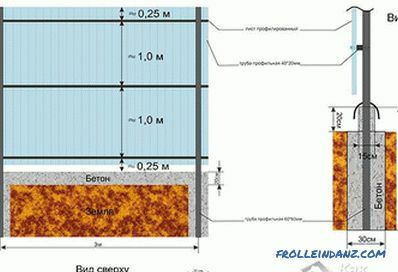 The layer of this material should be about 20 cm. On top of the gravel is poured a layer of concrete with sand. Then a column is installed in the pit, the upper end of which must be closed to prevent moisture from getting inside. 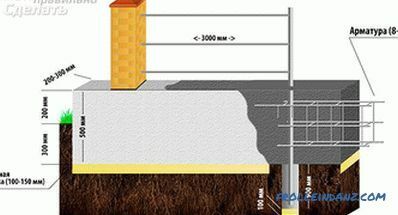 Installation of the pillars must be carried out using a plumb line or level. 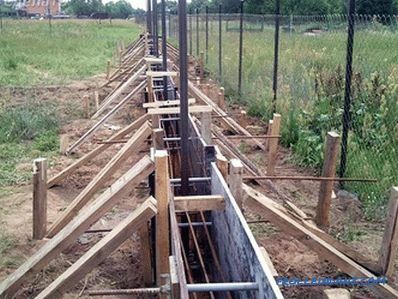 To prevent the columns from tilting in the process of concrete hardening, they must be strengthened with metal rods or reinforcement. 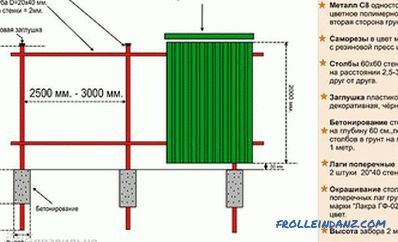 The rods are welded to the side, so that the pillar stands straight. When the posts are strengthened, lags can be set. To do this, use a profiled pipe. 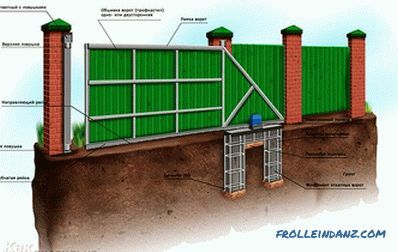 Lags are installed below, above and in the middle of the fence. Before you install a professional flooring, it is necessary to cover the structure with a layer of soil to prevent corrosion. 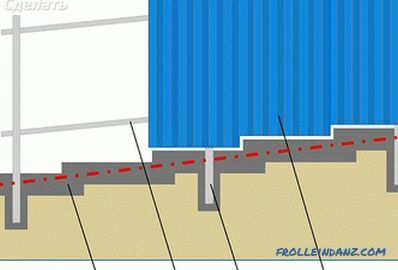 At the final stage, profiled sheeting is fastened with self-tapping screws. 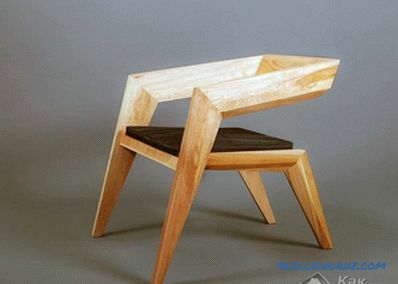 If desired, you can paint the design. 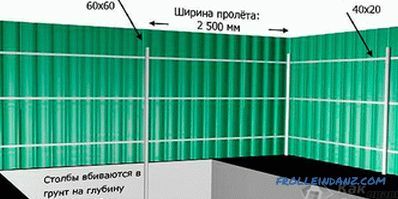 For sheeting exists special paint that is sold in cans. It can be found in the store where the material is sold. 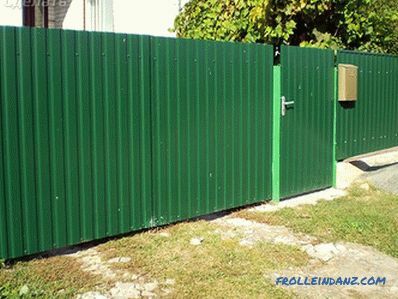 You can paint the fence to your own taste. If defects appear on the surface of the material, then it must be painted to protect the metal from corrosion. 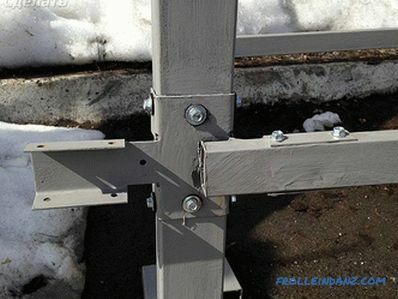 Only galvanized self-tapping screws should be used for fastening, because the unprotected material will quickly be destroyed.Do not forget about it during construction. It is better to paint self-tapping screws in the same color as professional flooring. So the fence will look much more aesthetic. 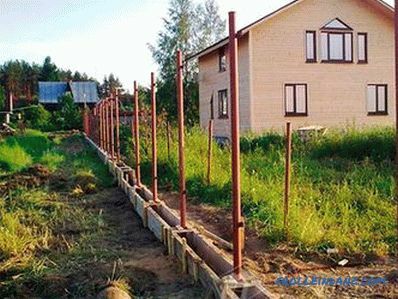 To install the gate, it is worth purchasing thicker posts. You must also purchase loops. When the fence is ready, you need to check how the gate opens. They should swing open easily and without jams. 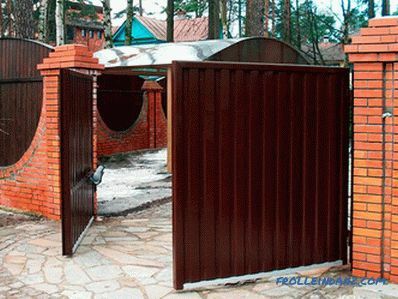 When installing the gate, one must take into account that in the future there may be a desire to replace them. 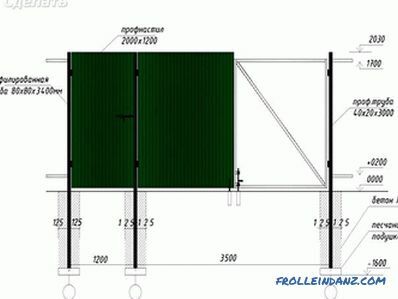 If the gate of corrugated board, for them it is necessary to strengthen the lags a little differently. 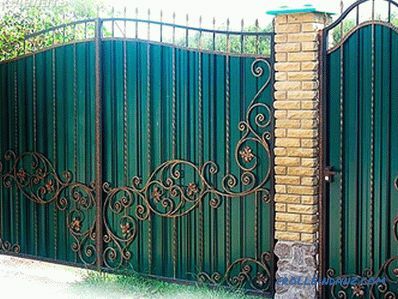 The design of the gate is welded separately. The pipes can be installed crosswise.